Fall in love as soon as you step inside this bright & open home w/3200+ sq.ft plus a 3+ car attached garage. 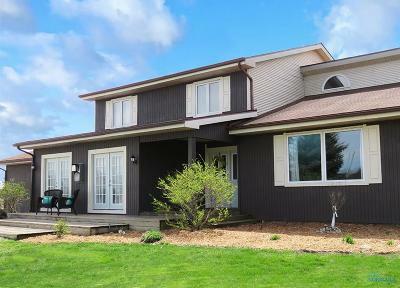 Situated on 4 private acres yet just minutes to town. Masters on both levels & 4 full baths. Lovely sun porch off kitchen overlooking deck w/retractable awnings; above ground pool, pond & fire pit. Freshly painted wood exterior & many updates in past year. Seller relocating. Directions: W. Poe Rd. Between Mitchell Rd. And Liberty Hi Rd. House Sits On South Side Of Poe Rd.